Having pain in your foot, ankle or lower leg? Evidently you are either trying to find out what you have and what to do about it, or you have been to a doctor and are trying to reinforce what he told you. Either way you have come to the right place. I discuss various types of lower extremity problems in an easy to understand manner; (You do not have to be a doctor in order to understand the doctor). This site is constantly being updated as I continue to discuss different subject matter and add to the existing subjects already present on my site. Since I am constantly reviewing various medical sites I also include items of interest that may not be related to the lower extremity but are important enough that I would like to share with my readers. 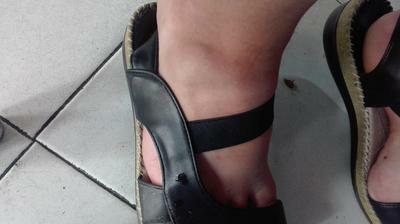 I had tarsal tunnel and plantar fascia release, and heel spur removal on both feet. Left foot was done 8 months ago and right foot was done 6 months ago. 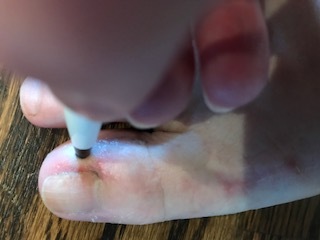 Continue reading "Pain after tarsal tunnel and plantar fascia release "
Continue reading "Pain in 2nd toe post op. - bunion surgery"
Continue reading "Ganglion cyst on 4th metatarsal joint "
Continue reading "Baxter neuropathy "
Continue reading "Is This a Lisfranc injury? or just a sprain?" 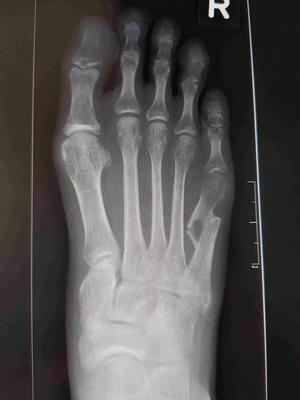 Continue reading "Second toe swollen/trouble walking"
Continue reading "Metarsalgia post op bunionectomy "
Continue reading "Displaced fifth metatarsal fracture"
Continue reading " nerve pain in my right big toe when I point my toe downward "
Continue reading "Pressure pain after partial ingrown nail removal"